68k Marriott points, from my recent stay at the SpringHill Suites Downtown in Houston for my trip to Grace Hopper Conference. So I ruled out the Hyatt which was too far. I also eliminated the Hilton and Crowne Plaza ANA, both of which looked just average. The Intercontinental looked amazing and rated #1 on TripAdvisor. 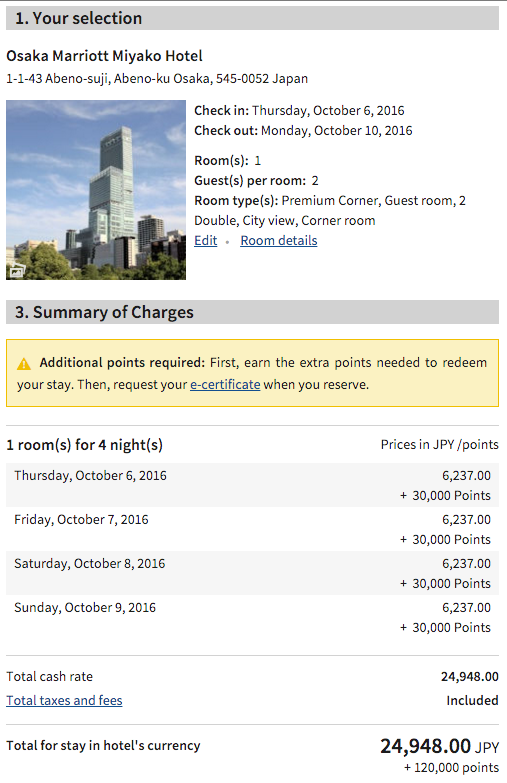 I logged into my IHG account, but sadly they have no reward nights available in October – probably because the hotel is so expensive! Well, we can settle for #2, right? 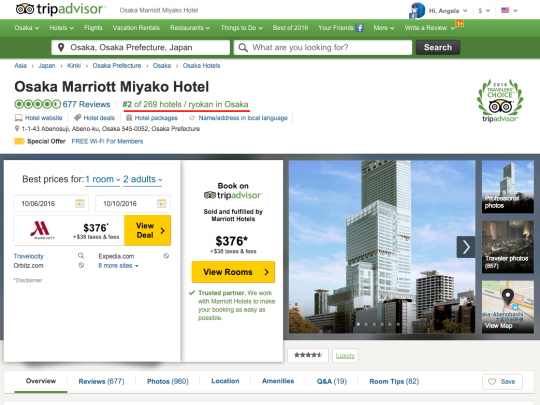 The Osaka Marriott is rated #2. 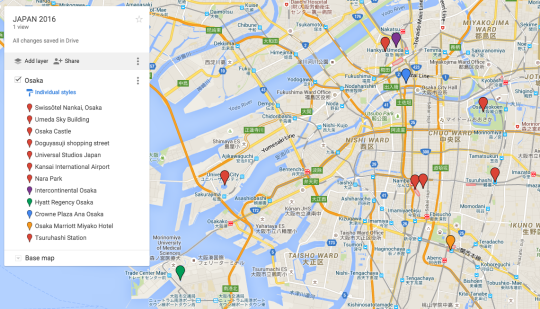 It’s also located in the tallest building in Osaka and on top of a train station. 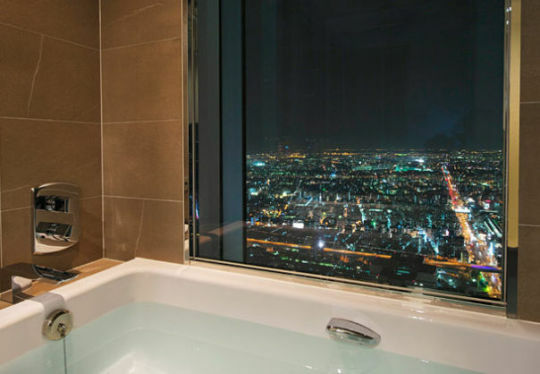 And it has a tub with a view. And it had rewards nights available. Luckily, Marriott allows you to reserve a room with points even if you don’t have all the points yet. You have to have the required points in your account 8 days before your reservation starts. I plan on opening the Chase Marriott Rewards Premier Card, which currently has a signup bonus of 80k points. 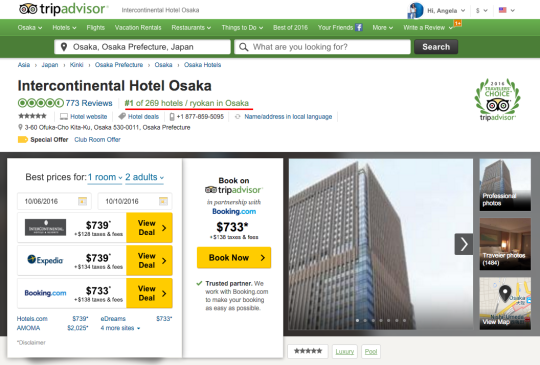 In total, we’ll pay $53/night + points for our hotel in Osaka. But if we had chosen to pay for this hotel in cash, it would cost $450+ /night. 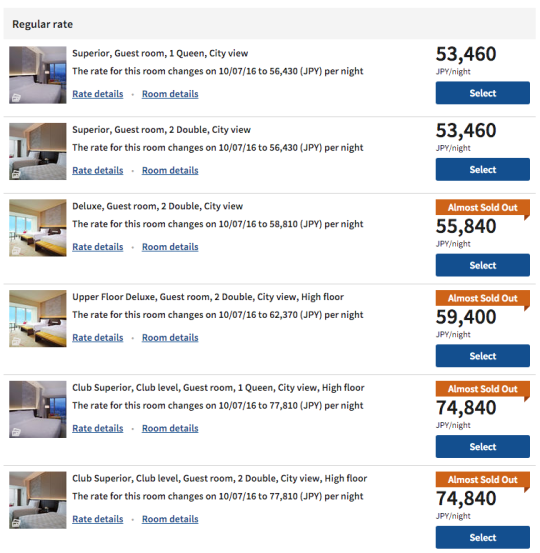 A four night stay would have cost $1900 USD – but we got it for $200 and 120,000 points.